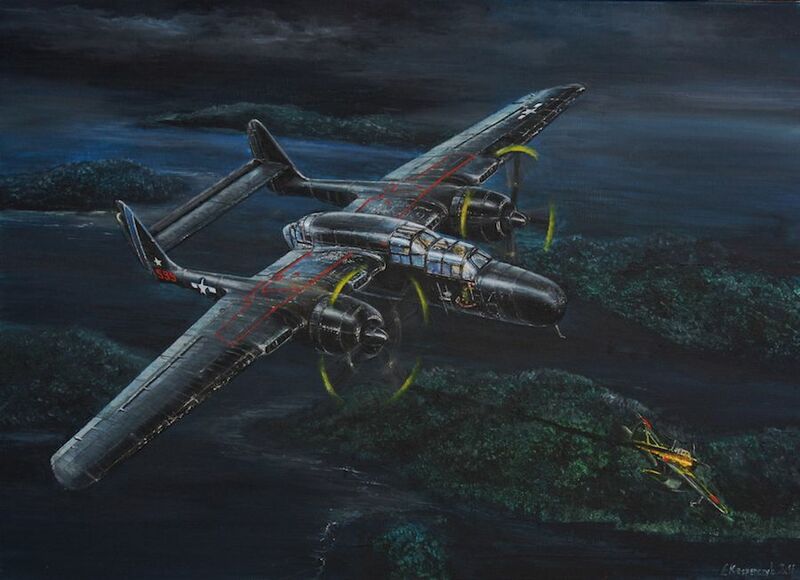 Superb, original oil painting of P-61 Black Widow night fighter "Time's a Wasting" shooting down Nakajima A6M2-N "Rufe" in the Philippines, December, 1944. 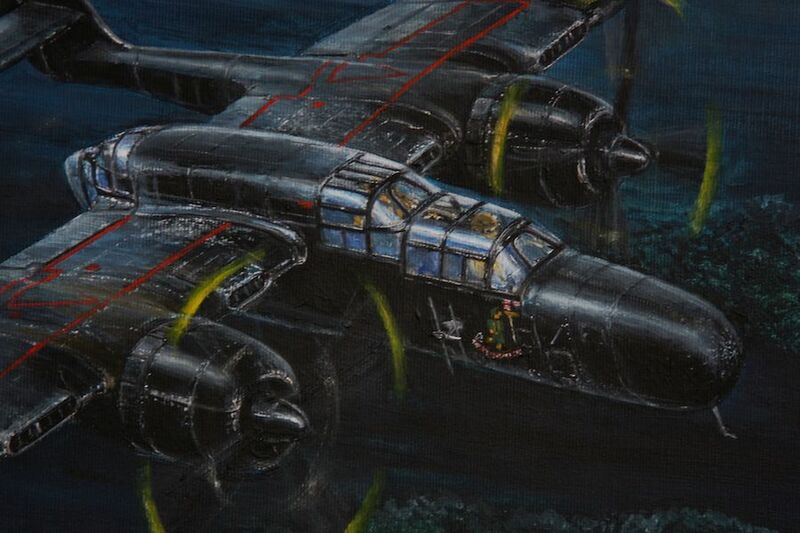 This large original oil painting would make a fantastic gift for any WW2 Veteran or Veteran's family member, especially for those that flew during the war. 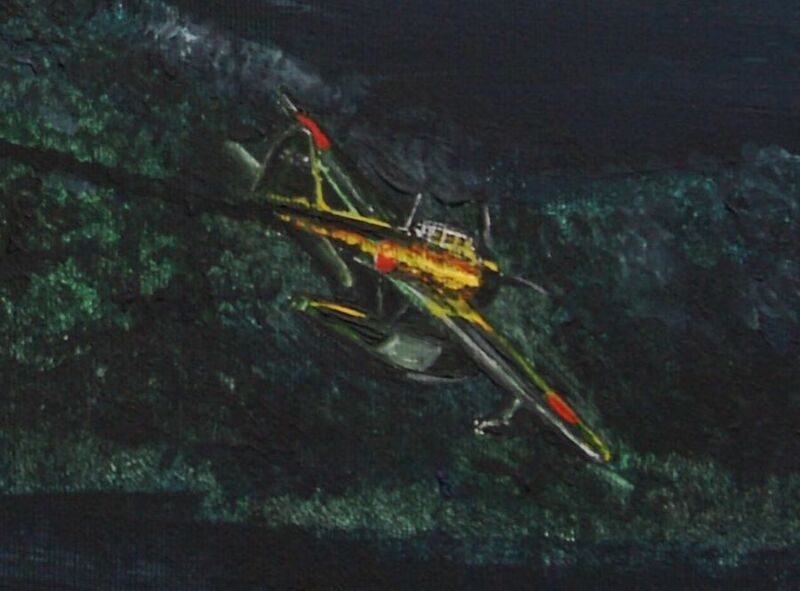 Approximate Image dimensions: 27" x 19"